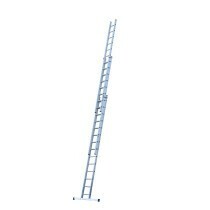 Reach the highest points on a property with our extension ladders, all without having to store or transport an excessively large ladder. This result of the telescopic or multi-section design of our extension ladders, which can ‘slide’ down in an incredibly compact body when not in use. They are therefore ideal for homeowners who undertake regular maintenance on their property or professional tradesman travelling from job to job. With a safe working height of up to 10.12m, extension ladders allow you to undertake projects at great heights. They can ‘slide’ down to have a height as little as 1.92m. You can therefore store it in your garage or pack it into the back of a van with ease. The versatility and convenience of our extension ladders is truly incredible. 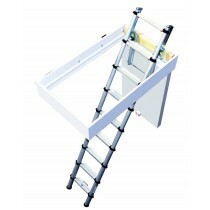 The aluminium and fibreglass construction of these ladders make them incredibly sturdy and, in some circumstances, safe when working around electricity. 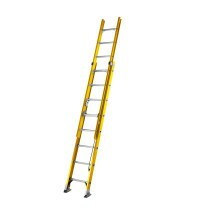 Our extension ladders also have a range of safety features, including slip resistant articulated feet and semi-automatic locks. This provides you with confidence, whatever height you are working at. 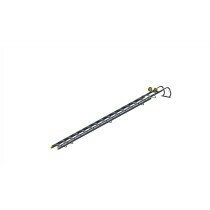 Have More Questions About Extension Ladders? 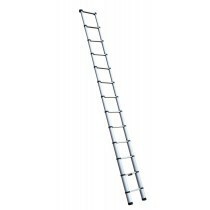 If you have questions about our range of ladders, speak to our team online or by telephone. With over 40 years of experience in roofing, we’ll help answer your questions about extension ladders. We’ll also help you pick appropriate accessories, including storage solutions and safety additions.